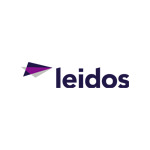 Leidos is a global leader in the integration and application of information technology, engineering, and science to solve the customers' most demanding challenges. Use a new smartphone with a fingerprint scanner and it’s hard to imagine one without. Unlocking an iPhone or Samsung Galaxy takes less than a second; just press your thumb against the home button and you’re in. Compared to the old method there’s just no contest – and that’s without the added security benefits for mobile banking and shopping. That’s part of why fingerprint scanners are fast becoming a standard feature, even in budget smartphones. That’s just one example of how biometrics – the practice of using biological (anatomical and physiological) or behavioral characteristics for automated recognition and verification – is a win-win. Not only does biometrics make the process of identifying and authenticating more secure, it also makes it faster, easier, and more convenient. Only you have the fingerprint (or vocal tract, DNA, or facial characteristics) to unlock the biometrics lock, and there’s no need to remember a password, enter a PIN, or bring along a keycard. You, yourself, are the key. Arguably, biometrics has reached the mainstream tipping point. There’s nothing particularly new about it – humans used fingerprints as ID as early as 1500 to 2000 BC, where Babylon officials used fingerprints on clay tablets. We’ve had formal systems of identification and classification since the 1890s, and biometrics has cut immigration times for air passengers since the U.S. INSPASS system launched in 1994. Now, however, the technology has matured enough, and become easy and affordable enough, to become almost ubiquitous. Some cashpoints in Poland and Japan now use vascular biometrics – scanning the vein patterns in the fingers to authenticate the account holder. A range of UK, European, and Asian banks, including HSBC, First Direct, Barclays, and Citi, are using speaker verification systems to authenticate users. Account holders who have registered a voice “print” can access their accounts with nothing more than a few spoken phrases. No two people have the same speech patterns or vocal tract, making this more secure than a password and less intrusive than sharing personal information. The applications for biometrics continue to spread. Charities and aid organizations are already onboard, with the UN Refugee Agency (UNHCR) using them to register and verify the identities of misplaced persons. The state of New Jersey uses fingerprint recognition to track and manage provisions for the homeless. In Australia, voice biometrics helps tax officials spend less time authenticating callers and more time handling their queries. Used appropriately, biometrics can help organizations both work more effectively and actively improve user experience. It could even become a key differentiator between one product or service and another. As biometrics spreads from the smartphone to the airport, from public services to healthcare, the possibilities for new applications are almost limitless. To learn more about biometrics, click here.